The Sales Management Association’s audience includes two basic types of professionals: sales managers, and sales effectiveness (or “sales operations”) managers. Sales managers include managers at all levels, from senior-most to first line managers with direct report salespeople. Sales effectiveness professionals include a variety of functional titles, including sales operations, sales enablement, commercial effectiveness, and many others. This group includes managers chiefly focused on supporting their firm’s sales organization. Smaller portions of our membership include academics, students, management consultants, technology solution providers, and professional services firms focused in sales force effectiveness. 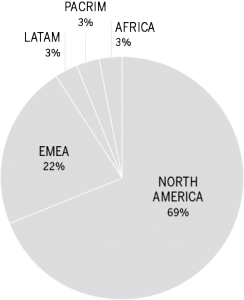 More than two-thirds of our members are in North America, and approximately 25% in Europe. The Sales Management Association has members in more than 130 countries worldwide. Our member firms are typically medium-sized and larger organizations. 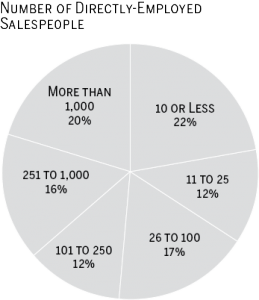 About 80% have more than 10 directly-employed salespeople; about 50% have more than 100; and about one in five directly employ more than 1,000 salespeople. The Sales Management Association reaches an even wider audience of non-members. We maintain a large opt-in email list, a 40,000+ member LinkedIn group, and a 7,000+ Twitter following.